As a parent, you know how important it is leave your baby's skin clean, whether it's after each nappy change or everyday messes. 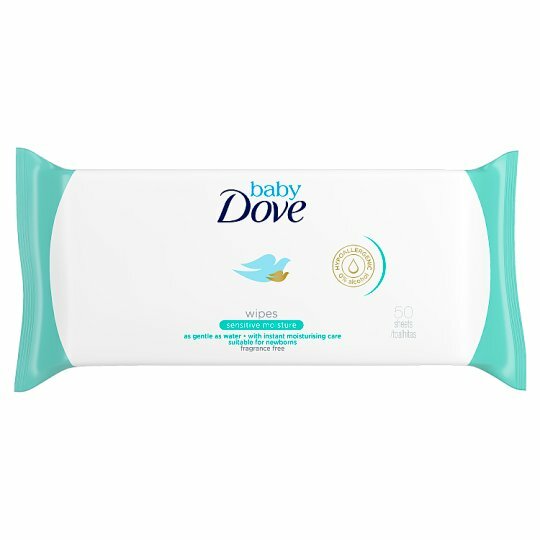 That's why we created Baby Dove Sensitive Moisture Fragrance Free Wipes for gentle cleansing that leaves baby's skin instantly moisturised and soft. How to use: Gentle cleansing wipes, suitable for all over use. Also use after nappy changes to cleanse the nappy area. Once dry, follow with Baby Dove Rich Moisture Nappy Cream to help protect from the causes of nappy rash.